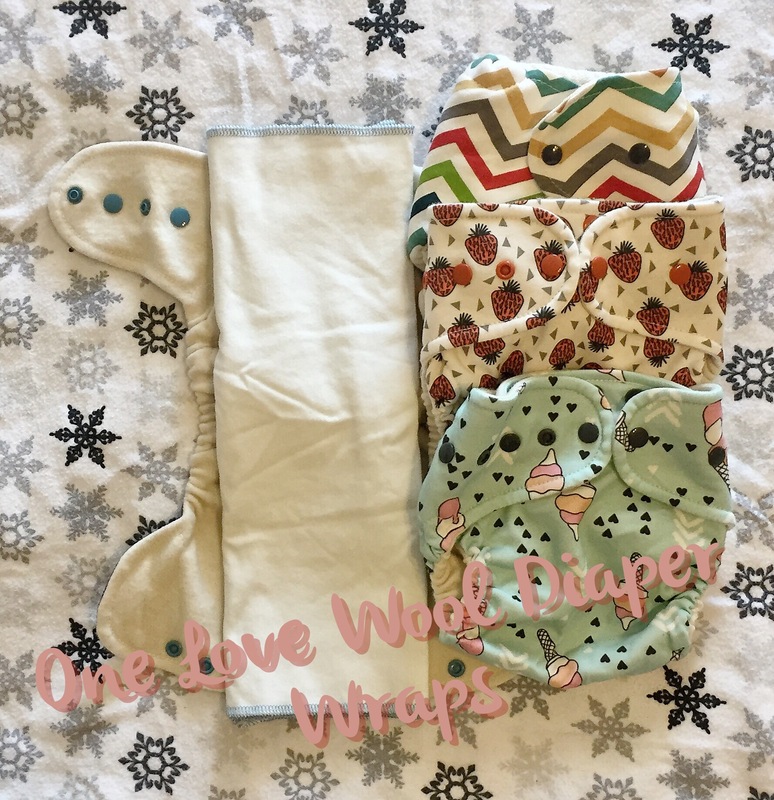 For this type of diapering your diaper will consist of two parts: an inner, absorptive layer of cotton or hemp or both, and an outer, water resistant wool layer. For your inner layer the most common options are flats or prefolds. Prefolds are multi layered rectangles that don’t require much folding, but are slower to dry. I prefer hemp to cotton, but not everyone does. Green Mountain Diapers has the best prefolds hands down (Cloth-eez), no one else even comes close in my experience. There are two types of flats: traditional and stretchy. Traditional flats are what most people still think of when they think of cloth diapers. You can utilize a number of different folds that put the largest number of layers right where your baby needs it before pinning it on (or, if you are willing to let a bit of long term plastic into your life, Snappi’ed on) or you can simply pad fold your flat in a rectangle and lay your flat into the cover. I stick with Green Mountain Diapers for my traditional flats, as well. Both of these methods also work with stretchy flats (they first became popular in bamboo fabric, but the chemical processing needed to turn bamboo into fabric puts it into the synthetic category). Truly Charis makes amazing stretchy hemp flats or you can make your own with stretchy hemp jersey from Nature’s Fabric. That stretch allows for a snugger fit around chubby baby legs which help keep everything where it should be. Now you need a water resistant layer, and if you want to go natural that means wool. I personally think that properly lanolized wool is the most bulletproof of diapering options. So what wool should you use? Upcycled wool soakers, longies (pants), and shorties (shorts) are made from 100% wool sweaters and a made by Work at Home Parents. You can find them on Etsy and Facebook (consider buying used, wool is naturally anti-microbial!) It’s not my favorite type of wool because it tends to be fully felted which is more bulletproof but less stretchy. If you don’t mind plastic snaps, wool covers that work just like PUL covers are available and are a good option for people who don’t want to use wool as clothes as well as their diaper cover. One Love Diaper Company makes the shiniest (and highest end) of this type of cover, but several Etsy sellers make them, too and you can find them second hand as well. Next are the handknits, which aren’t my thing either. Sets can be amazing and amazingly expensive from the most sought after knitters, but you can buy used for a decent price on wool diapering B/S/Ts. These need to be lanolized two or three time before first use. Next comes machine knits. 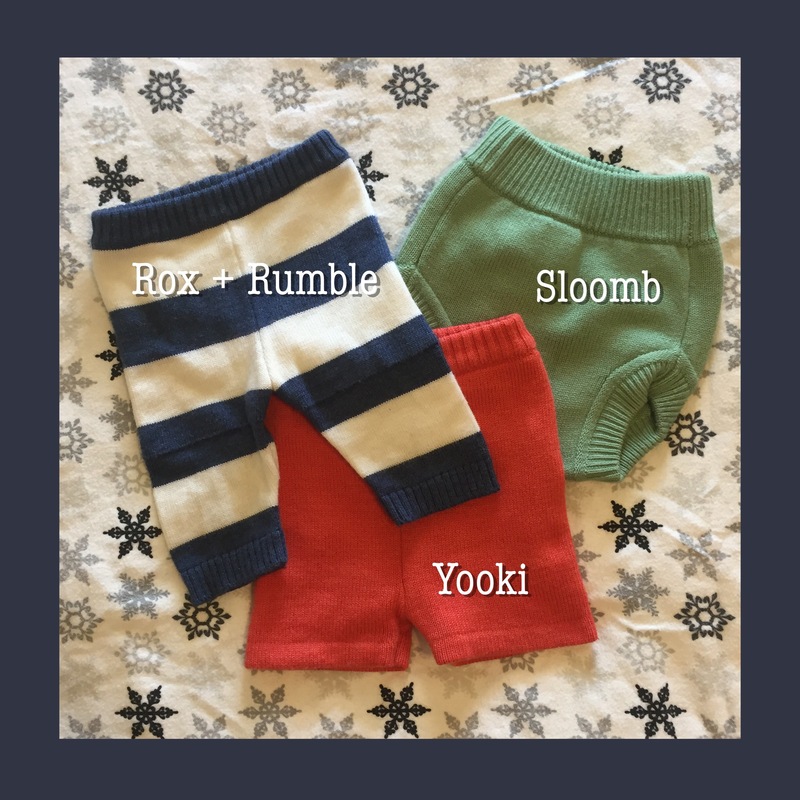 For years Sloomb cornered the market here, but recently <a href=”//www.roxrumble.com/”€Rox + Rumble and Yooki Wool have broken in creating all sorts of new options. All three carry a cuffed, close to the leg pant that is double layered up top and single layered in the leg. Sloomb (and most wool using parents) call these pants basewoolies and the shorts version baseshorties. R+R calls them Woolsters and Yooki calls them leggings. Sloomb also carries longies and shorties that are looser and double layered throughout and are hemmed instead of cuffed. Yooki carries cuffed pants that are double layered throughout, and R+R carries single layer pants in both a regular and a knit and pearl style. Sloomb also carries a “Gold Line” of fancier options such as their Viking harem style pants and their Isabella pants with a skirt. There are a lot of options here, but they all have elastic in the waist band. Last but not least, Interlock. This is a stretchy wool that bring to mind sweatpants. Some is even machine washable. Most brands carry cuffed and hemmed longies and shorties as well as soakers, and brand specific pieces. The two big players are both Work at Home Mom run businesses, Truly Charis and Wild Coconut Wear and I’m happy with my interlock from both companies. My wool stash has included everything but handknits (I’m afraid I would buy them all), but is now mostly interlock and machine knit with a few wool covers for wearing with non wool bottoms. It can be a bit of an investment, but the second hand market is good and it is my favorite way to diaper. Plus, no plastic touching your sweet baby!